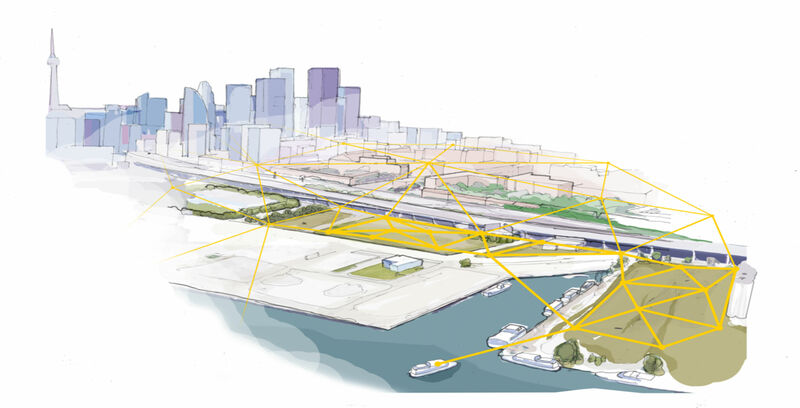 Google sister company Sidewalk Labs wants to show off a few of the prototypes it has for its smart city project Quayside. On March 1st, the Canadian Press reported the company offered a glimpse at some of the technology that has been widely spoken about in the past including hexagonal shaped sidewalks that heat up, and a building umbrella that would essentially shield people from bad weather. Sidewalk Labs partnered with Waterfront Toronto in 2017 after it was approved to work on the project. Though more recently it has faced immense scrutiny after an explosive Toronto Star expose revealed the company had much bigger plans than what was said to the public. “It is totally different to see it in its real-world context and understand its real impact,” Jesse Shapins, director of public realm at Sidewalk Labs, said to CP.